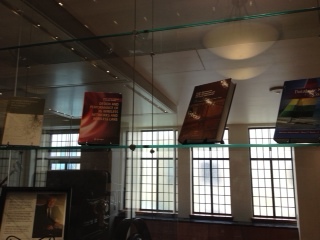 Ever since they opened up the new section of Packard Lab lobby (the glass room on the right as you walk in) the shelves and the back case has been empty. 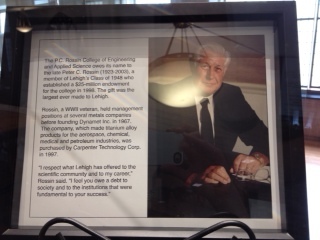 Well now they are filled with pieces from throughout Lehigh University Engineering History. I will give a brief description of some of them. 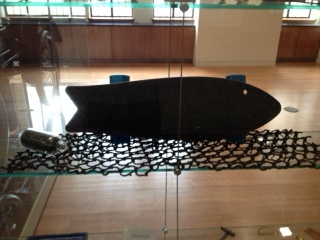 This is a picture of a skateboard that was built by a company founded by Mechanical Engineers from Lehigh University and it is made out of fishing pollution. 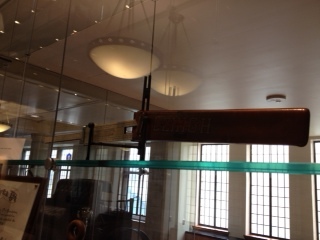 This is a a piece of a wing that was designed and built here at Lehigh University. 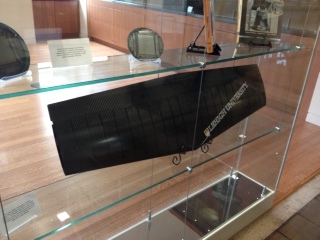 It is part of a carbon fiber aircraft that is designed to take energy from the jet stream and to fly indefinitely. 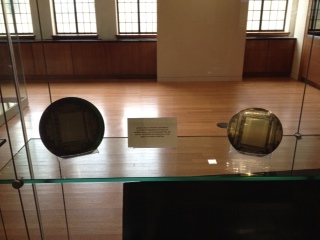 These are circuit wafers in which Lehigh is trying to take the rigid glass technology that enables cell phones, tv’s, and MP3s and move it flexible metal foils. 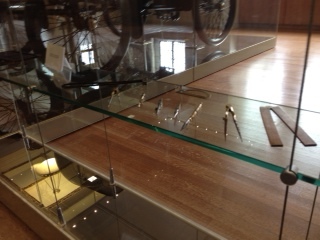 These are drafting tools used by Lehigh Universities first PhD (Joseph Richards class of 1886). 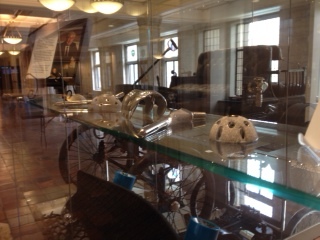 These are titanium hip replacements built by Dynamet Inc. 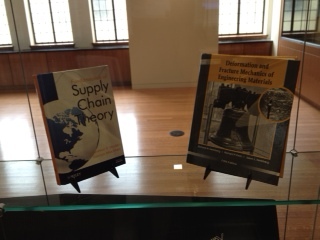 This is a biography of Peter C. Rossin whom the Lehigh University College of Engineering is named after. 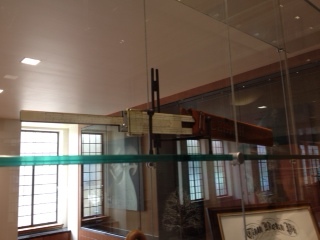 These are pictures of a slide rule used at Lehigh University circa 1940. 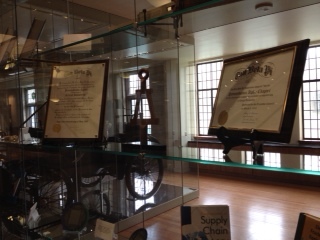 These are plaques certifying Lehigh University as the Alpha Chapter of Tau Beta Pi. An international engineering honors fraternity that has their symbol as the bent (as seen below). 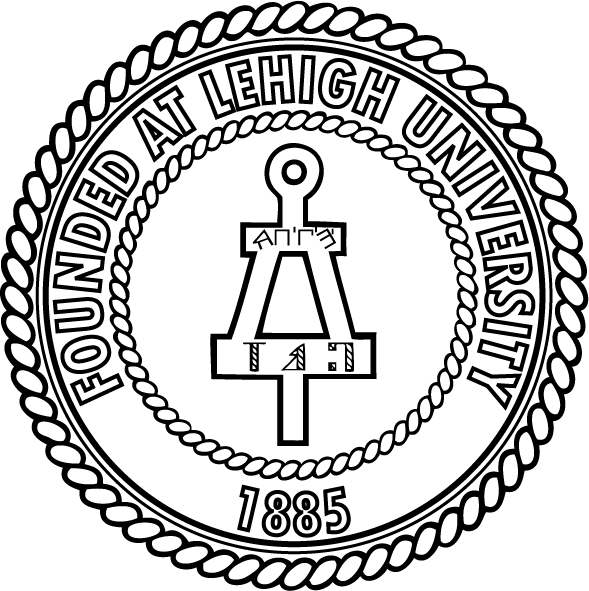 This entry was posted in Uncategorized and tagged lehigh university, Packard Lab, Packard Lab Lobby, Peter C. Rossin, polution reduction, saving history, slide rule, special collections, Tau Beta Pi. Bookmark the permalink.